While the Battleborn universe explores the unusual methods of fighting to save the last star, there’s still a need for guns, grenades and true grit when magic and mushroom healers won’t cut it. Those who like to heft some amped-up conventional firepower join the Peacekeepers. 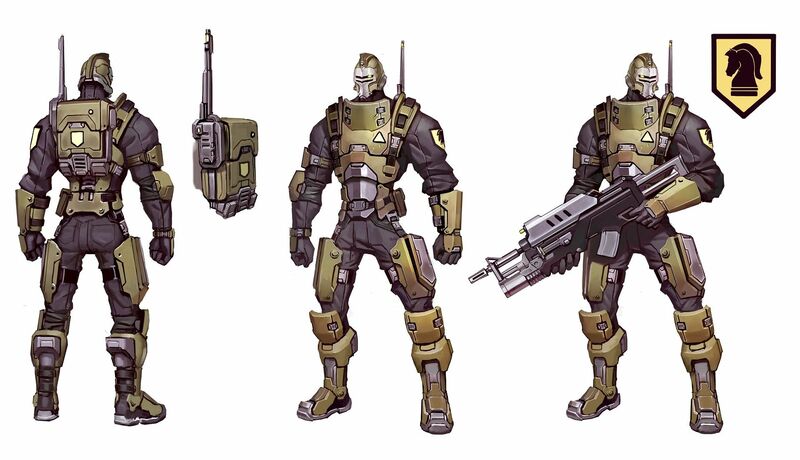 To learn more about this futuristic space army, we spoke with Battleborn’s Design Director, Brian Thomas, before signing up for duty. What influenced the design of the Peacekeepers? These characters are a love letter to all the fun stuff we’ve loved from the last 25 years of FPS gaming. The industry has really pivoted towards this ultra-realistic FPS combat in the last few years, so we wanted the Peacekeepers to bring back a lot of the fun, over-the-top gameplay that used to be the norm. So, Peacekeeper gameplay focuses around a lot of our favorite classic FPS weapons: Assault rifles, shotguns, grenades, rocket launchers, miniguns…you know, the reliable standbys. 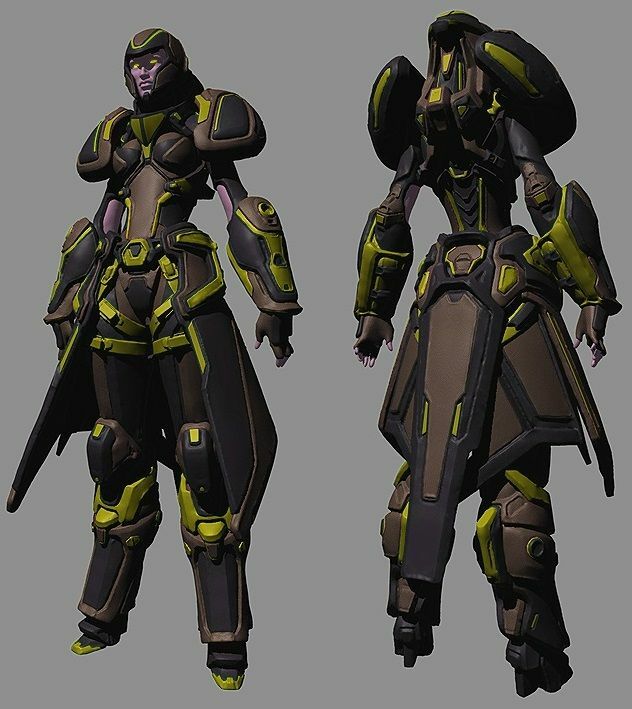 What did you want to get across when conceptualizing and designing the Peacekeepers? We wanted everything to feel very practical and down to earth (or at least as down to earth as a flying hawk shooting rockets can be). When you play a Peacekeeper, you should be able to understand their abilities just by playing for a few seconds. But mastering these characters requires time and a lot of situational awareness – Unloading your shotgun, point blank – Leading your enemy into a rocket – Using your assault rifle’s precision zooming to cluster headshots. 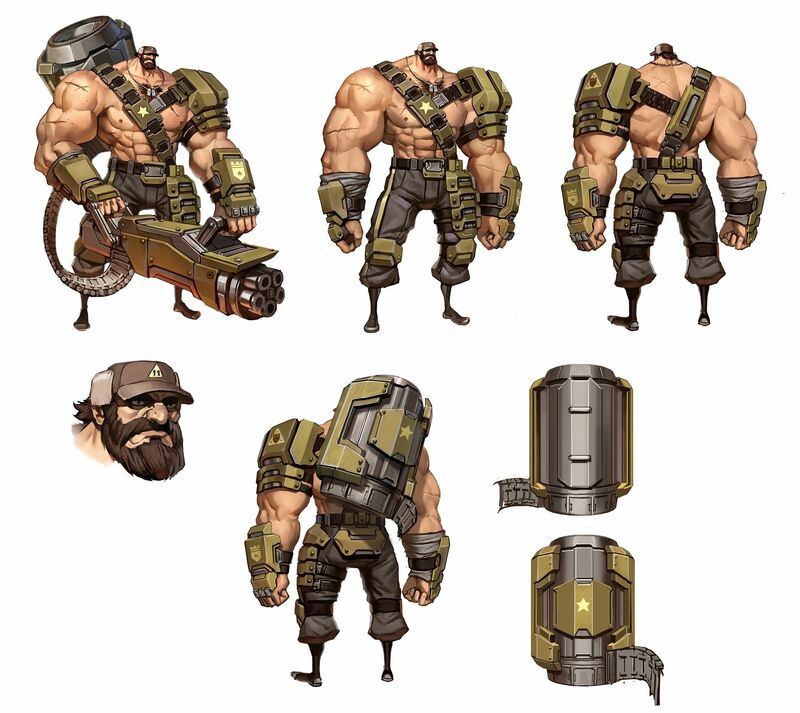 What do Peacekeeper Battleborn have in common? The short answer: Peacekeepers go into battle with “guns’n’grenades.” These characters should feel like they are literal in their fighting style, not relying on magic or high technology for their skills. But even within the Peacekeeper faction, each one has a different specialty on the battlefield. Oscar Mike is a utilitarian soldier, good at damage-dealing regardless of distance and cloaking to get away in a pinch. Ghalt is a more up close, stand-your-ground style fighter, who wants to draw you in with his hook, trap you, and unload his shotgun. Benedict, meanwhile, is there for aerial support, gliding above a fight while softening targets with rockets. Each of them has a range they’re best at, and each of them have preferences about whether they want to fight an individual or a crowd. But at the end of the day, they all share that “guns’n’grenades” ideology. What makes the Peacekeepers unique compared to the other factions? Peacekeepers are generally the most well-rounded faction. They don’t do the most damage, tank the longest, or move the fastest, but they do all those things well. They also have very few weaknesses to hamstring them. This makes them some of the best utility team players in the game. No matter what your team composition looks like, Peacekeepers work well with everybody and help maintain your team’s balance. Learn more about the Peacekeeper faction and their icy homeworld, Bliss.